Just Dance 2014 Review & Giveaway! You are here: Home › Giveaways › Just Dance 2014 Review & Giveaway! Click here to purchase Just Dance 2014! -Winner will be contacted directly within 48hrs after the close of the giveaway, via You Tube message and has one week to claim prize. If not claimed within one week, another winner will be selected at random. Winner’s name will also be posted at the top of the info bar under this video. 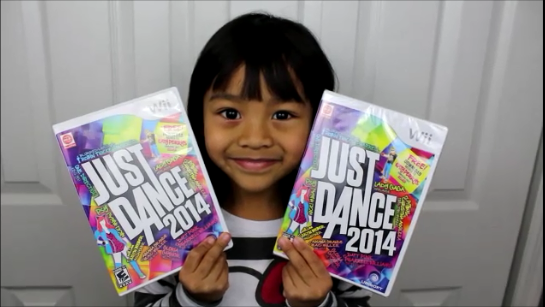 5 Responses to "Just Dance 2014 Review & Giveaway!" What happens if I don’t have a twitter and can’t have one? just enter through my you tube channel and instagram if you can? I subscribed to your YouTube channel (Andrea Hamilton). I’m following mommytipsbycole and justdancegame on twitter (andreacouponz).